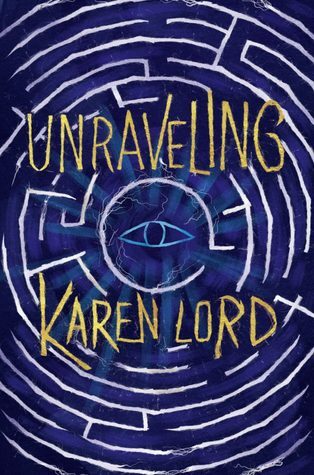 I’ve been waiting years for Karen Lord to write another novel, after reading The Galaxy Game and wanting to check out more of her work. So I was thrilled when I found out she will have a new book coming out this summer, a fantasy mystery involving solving puzzles and a Trickster. I also love this cover. “In this standalone fantasy novel by an award-winning author, the dark truth behind a string of unusual murders leads to an otherworldly exploration of spirits, myth, and memory, steeped in Caribbean storytelling. Oh wow this sounds good, and nicely different. I’m really curious about the Trickster angle, and the Caribbean setting too. Yeah, Karen Lord is huge in Caribbean fiction circles, I’m really looking forward to see what this one has in store! I agree about the cover and it seems to fit the plot really well. That’s a new to me one! Intriguing cover too. I hope you enjoy this one once you read it! This sounds different to me and I like the fact that it is a stand alone! I have not yet read Karen Lord, but boy am I on board for this book! I’ve only read Galaxy Game which came out like 4 years ago I think? I believe she’s written short stories since, but you know how I am with short fiction 🙂 I’ve been waiting for another Karen Lord novel and I was so glad to see this one! I have yet to read any of Karen Lord’s work but I’d love to check out some of her stuff at some point. This sounds good! Hope you enjoy it! I’ve not read this author but I’m intrigued by this one so will add to my wishlist.